When I finally broke my habit of biting my nails, I was thrilled! No more weird looks from my Dad. No more tears down to the quick. No more gross stuff entering my mouth – by my own doing! – out of a strange compulsion to control something. My nervous condition was no more! It had ceased to exist! Yay!!! And the minstrels celebrated! It is pretty constant. If I bend my knees to be even with my students, it will crack when I stand. Should I sit with legs crossed, the movement of that left leg will be, with no doubt, serenaded with the grinding of bone on bone. If I stand and turn, it will pop – pop loud enough for all to hear. It can jar the teeth. It can be a relief. It can be annoying. It can be embarrassing. I have always felt that my appearance is pretty average. I don’t write that meaning that I’m unhappy with average, it’s just kinda a fact. Thankfully, I escaped my teenage years/early adulthood without feeling that my appearance was a problem. Not everyone is so fortunate, and I understand that. My looks haven’t been something that I felt I needed drastic measures to “fix.” For me, I used to have a hard time reconciling my personality, what I like, with what I believed a woman should be. No one ever told me, “Staci, you like sports too much. Guys don’t like girls who like sports,” but that was the impression I got as the boys I really liked went for cheerleaders. Meanwhile, I was invited to hang out with the other guys, you know, since I was one of them. It took a while, and a couple attempts at changing….no, hiding….my personality, before it finally dawned on me that you can’t hide who you are forever. I’m a heterosexual female who loves UK Athletics, sci-fi, Art, music, supports equal rights for all, wants to work for a successful Appalachia, and I am so much more than my interests and causes. I am just happier being me. Good, bad, I’m the one with my unique perspective and, thankfully, the people in my life – friends and family – seem to dig that. Trust me, this opening will make sense eventually. 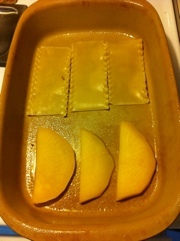 The food experiment part 2! So I’m a little late on my second week, but here’s the lowdown on how it went! As a personal goal, I’ve also decided to cut out sugar, and I thought it would be really hard since I work at a coffee shop, where I drink most of my sugar, but after the first week, I was okay. I now drink my coffee and my tea black, and no syrups in my lattes, and now when I drink anything with a little sugar it taste really sweet and over powering, and it also makes me tired and a little cranky. So recently I have been talking to a lot of people who share the same feelings with me about eating more organically, staying away from sugar and flour and processed food, and one girl decided she would make a “pledge” to not eat processed food for 40 days! 40 days! That’s crazy, and I agreed to do it with her! It seems like a lot, but I went grocery shopping so I have lots of food to eat at the house, and I have made a menu to get me going. Every week I will try to write a post to let you all how I feel! So far I have been doing it for about 3 days, and so far I feel like I have more energy, and I have been waking up a lot easier…and yes, I don’t wake up easy. So yeah…don’t worry! If we go out to eat together, Im gonna eat, and I’m not going to be the Debbie downer of the group, I feel like every once in a while is fine…so for all my friends that may be thinking it may be awkward to invite me out to the pub to have a delicious gooey cheeseburger…I am so there!…just so ya know! Anyways, here I go on another whirlwind adventure! A Week Into p90x and The Phantom Menace Comes Out in 3-D?! Okay, I know it’s not a coincidence that the end of my first week of p90x is on the same day Star Wars in 3-D hits the movie theaters. Being the avid fan of the Star Wars Saga, I was aware that today was the day that the 3-D releases of the films began with Episode 1: The Phantom Menace. As I write, I am lounging post workout (and shower) in my Star Wars pajama pants watching the theatrical version of A New Hope on DVD. You get the picture, I’m a Star Wars fanatic! You’ve seen my art, that’s not a total surprise. 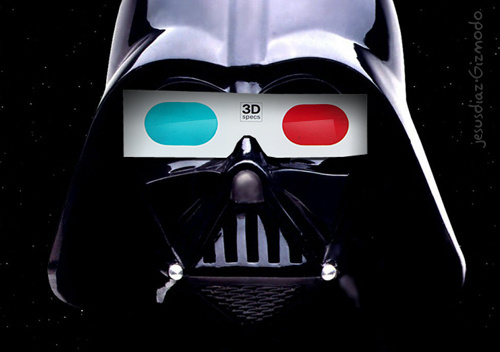 I’m still not sure how I feel about the Star Wars films in 3-D. There is a part of me that wants to see them on the big screen – just for the parts I like in the case of the prequels and special editions. Then there is the other side of me that says, “Staci, you have all the films. You watch them pretty regularly. Do you really need to see them in 3-D – even the ones that you don’t like that well? !” Well….yeah. I’m not running out the first day they are at the theater, but I’d like to see them. A bad Star Wars film is better than a crappy regular film (Attack of the Clones…maybe not). I can over look the bad dialogue and sometimes slow story development (pod race anyone?) to see Darth Maul vs Qui Gon and Obi Wan. Besides, I’m a little curious to see how the 3-D was added to the films. Now, back to my first week of p90x. It has been pretty great actually. Very difficult and more often than I like I fall a bit short of the rep goal, but hey “Do your best, forget the rest!” I have also given up on carbonated drinks. Yes, the Diet Dew that I have truly enjoyed for the last 12 years of my life is no longer my go to drink. Water and flavor packets have become my drinks of choice. Occasionally I’ll have soda (when I’m out to dinner with friends), but other than that, no more fizzy bubbles for me. 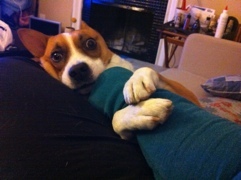 Speaking of friends – I should thank my friends for their support in my new me endeavor. Doug, John, Jinny, Sara, Dez, Tom, Michelle – and a whole slew of others! – could not have been more inspiring and helpful. I’m not always the easiest to support with the pessimistic attitude I at times adopt, but they have been super helpful and, hey, it’s paying off. I was asked today if I had lost weight! I don’t really think I have, but I do feel more toned and better to face my days. Here’s looking forward to the next week and what that brings. Good night all – and may the Force be with you…always. So, I know everyone has been so excited about this recipe! At least that’s what I am telling myself, that there are people chomping at the bit because I have not posted it yet! Well, here it is! If you absolutely have to have pasta…go ahead, I won’t tell, but I highly recommend you try it my way! 1-2 BAGS OF SHREDDED CHEESE DEPENDING ON HOW CHEESY YOU LIKE IT! 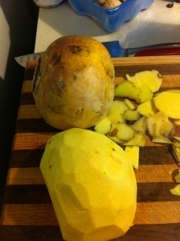 1. peel and thinly slice your rutabaga….this is hard! I recommend cutting it in half, and using a very sharp very large knife, and be very very careful! I would cut them about a quarter inch if you can…now that I am thinking about it, my mandolin slicer would prolly have cut this with no problems! 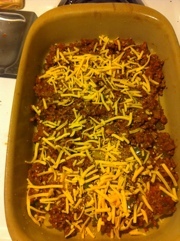 4. add your ground turkey! brown and season everything as you go! 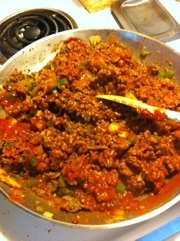 6. add tomato sauce, fill one of the cans with water and add if the mix seems too thick. add your sugar at this point. SET THE OVEN TO 350F SPRAY YOUR PAN! I like to end my layering with a heaping layer of cheese! pop that puppy in the oven and let cook until it gets nice and bubbly!! 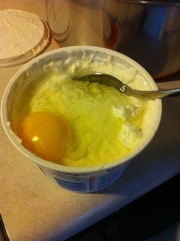 pull it out, and eat before it’s cool so it’s a soupy mess and burns your mouth! ….at least that’s what we do at my hizouse! it’s about 400 calories of pure deliciousness! For those keeping count! If you want to feel a little guilty…make some garlic bread! hot sauce taste great on lasagna, and I recommend Louisiana…pronounce WEEZIANNA! I made it half and half with pasta on one half…David did not try the non-pasta half, but he did say he liked it…and that he didn’t eat just anybody’s lasagna! So it was a definite win on Thursday night!! I hope everyone enjoys this dish as much as I do!! *If anyone has any suggestions for my recipe let me know!! comment please! I love changing up my recipes and making them tastier!